The domain Eukarya is divided into the following four kingdoms. PROTISTA - Protists are a large diverse group of relatively simple organisms composed of usually just one eukaryotic cell, but can also be multi-cellular. FUNGI - Fungi are organisms that secrete digestive enzymes onto their food which breaks it down. Once broken down, the fungi can then absorb the nutrients. PLANTAE - Plants produce their own food using sunlight through the process of photosynthesis. ANIMALIA - Animals rely on consuming other organisms as a food source. Protists are microscopic eukaryotic organisms that made up of only one cell. Most protists can be found in pond water. 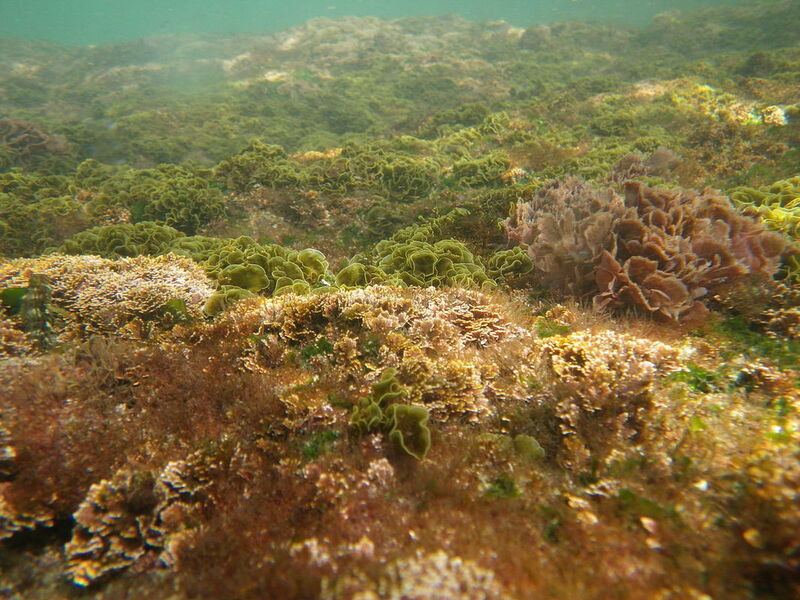 All algae have chloroplasts, which gives them their green color. The chloroplasts allows for the algae to make its own food using photosynthesis. The EUGLENA are a type of algae that can be found in pond water. Click on the short video below to see how they move! They are green, because they contain chloroplasts, which allows them to make their own food using photosynthesis. They also have a flagellum which they use to move and to sense their environment. Protozoa get their name from the Greek words 'protos', which means 'first' and "zoan", which means 'animal'. As you may have guessed, the protozoans were names this, because they were the first animal-like organisms to evolve. Protozoans are a very diverse group of organisms. Many of them are heterotrophic (hetero means 'other' and trophic means 'to eat'), meaning that they must consume other organisms as a food source in order to live. These protozoans usually feast on bacteria or other protozoa. Some species of protozoa can switch between being autotrophic (auto means 'self' and trophic means 'to eat') and heterotrophic. This means that these protozoans are capable of making their own food when there is an ample supply of sunlight, and they are capable of consuming other organisms as a food source when sunlight is scarce. There are even some protists that gain energy from the environment in a similar manner as fungi. These protists predigest their food source by secreting enzymes onto it (or into it) that function to break it down into a form that can be absorbed. Tardigrades are microscopic creatures that are able to survive the some of the strangest conditions in the universe. They can hibernate without water for at least 100 years. They can survive temperatures 50% hotter than boiling water. They survive in pressures that are higher than the pressure in our deepest oceans. Tardigrades have even been blasted to outer space and were completely fine! They were just fine without air, without pressure and without water. A. Plasmodium is a genus of parasitic protozoa, many of which cause malaria in their hosts.